If there is one college that offers the best engineering degree, then it is Pulchowk Engineering campus: the best engineering campus in Nepal. With a very good academic faculty, infrastructure and learning environment, it has been providing quality engineering degree that has high value at the international level too. After completion of higher secondary school level, most students who are interested in Engineering prepare for its entrance exam. It has limited seat for each course. In order to admit in the course you desire, you must have good ranking in its entrance exam. So, it is considered as one of the toughest competition in Nepal. If you really want to secure your seat in the college, then start to prepare from today. 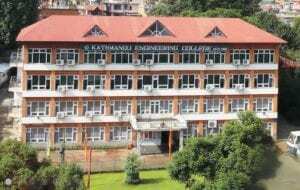 Kathmandu University is a private University located in 30 km from Kathmandu in Dhulikhel. Its engineering degree is considered as another best degree after Pulchowk engineering college. This University is best privately owned University with its high standard and academic excellence. It is It has been offering Engineering degree in the programs like chemical, electrical, computer, electronics, civil engineering, and geomatics. Those students who are not able to admit in IOE and want better degree other than Private engineering college, then most of them opted for Kathmandu University. There is also a tough competition among the students to secure their seat in their desired course. Kathmandu Engineering college is considered as one of the best private engineering college in Nepal. It situated in Kalimati, Kathmandu. It was established in 1998 in affiliation with Tribhuvan University. It is the first ISO 9001:2000 certified private college in Nepal. It has been offerings various engineering programs like civil, electrical, electronic and architecture. All of the programs are of 4 years duration except architecture which is of 5 years. It is best known for the competitive learning environment that it provides to the students and helps them to achieve their career goals. 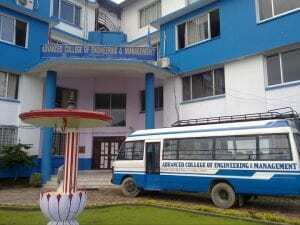 Advanced college of engineering and management is another good private engineering college in Nepal. It was established in 2000 under the affiliation of Tribhuvan University. It has the vision to create world-class academic institution and it has been proving that by creating good engineers every year. It has been offering different engineering programs like Civil, electrical, electronic and communication and computer. Its graduate’s engineers have done a very good job in the national and international organization. It is situated in Kupandole, Lalitpur. 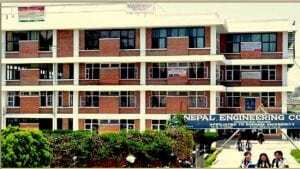 Nepal Engineering college has been playing an effective role in producing good engineers in Nepal. It is one of the oldest private engineering college in Nepal. It was established in the year 1994 in affiliation with Pokhara University. It is popularly known as NCE. It has been offerings engineering degrees like Architecture, civil, computer, electronic & communication, electronic & electrical. It has been providing quality education in the technical field that has helped in the nation-building projects. It is situated in Changunarayan, Bhaktapur.